Small/medium size measures 7.8” (197 mm) in length and 4.8”-7.4” (122-188 mm) in circumference. Large size measures 8.8” (223 mm) in length and 5.8”-8.5” (148-215 mm) in circumference. 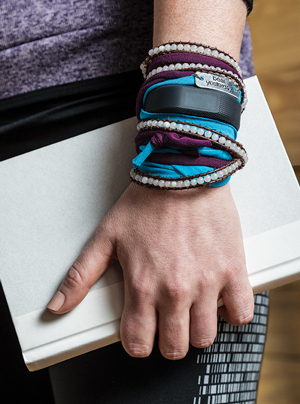 Your fitness tracker doesn’t define you, but what you do with it certainly can. That’s why vívosmart 3 features a discreet but attractive profile to help it fit right in with any fashion, and its smart features keep you on your toes. 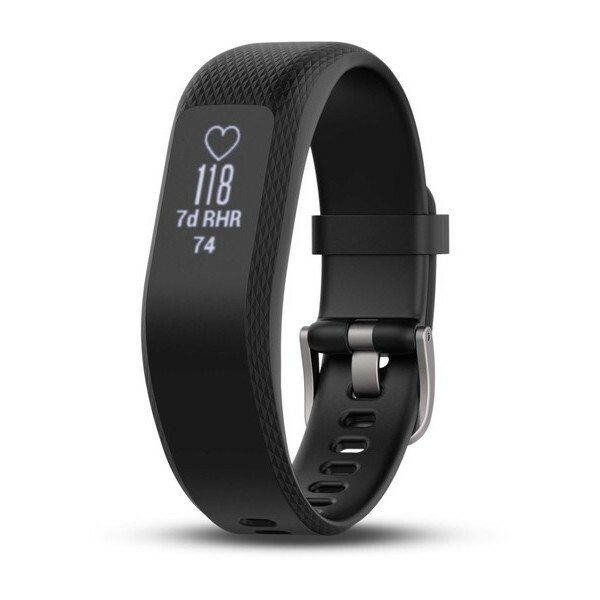 Track activity, monitor your heart rate, get smart notifications4, and even access detailed fitness monitoring tools such as VO2 max estimate and your fitness age. Your sense of style is uniquely you. Let vívosmart 3 complement that style without trying to overshadow it. 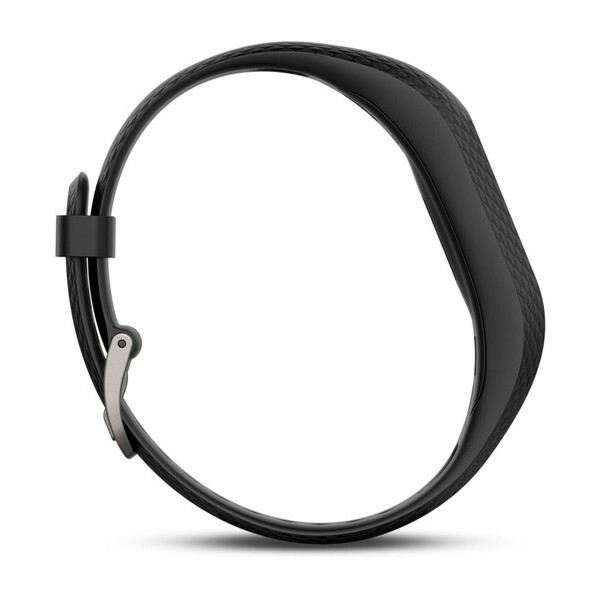 Featuring a slim, inconspicuous band, vívosmart 3 is as hip as anything in your closet. Even better, it’s a master of subtlety. The tracker’s hidden display is only visible when you want it to be. When you’re not using it, it disappears into the device. It’s the perfect companion for the office, the gym, the pool and everywhere in between. Thanks to Elevate wrist-based heart rate technology¹, vívosmart 3 fitness tracker is full of great features that let you get a better idea of your current fitness level. For example, it’s our first dedicated fitness tracker to offer VO2 max estimate. It can even estimate your fitness age, which you may be able to decrease over time with hard work and regular exercise. vívosmart 3 tracks heart rate variability (HRV), which is used to calculate and display your stress level. You can look at this graph right on your device anytime you’re sitting or at rest. When the level starts to move up, it indicates that your stress is getting higher. What causes this? Any number of physical or emotional external sources. 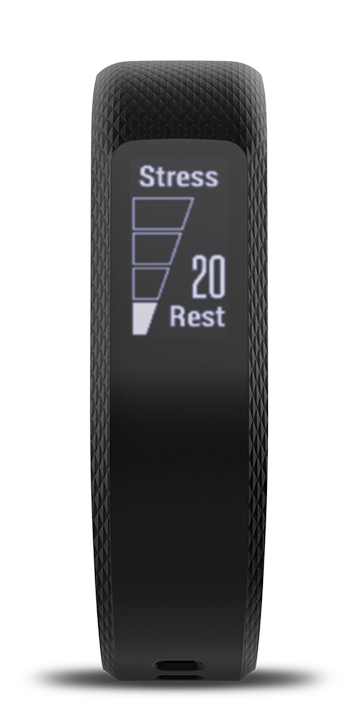 vívosmart 3 helps you recognize when this is happening so you can find a way to relieve the stress, for example, by using the relaxation-based breathing timer, built right into the stress widget. Based on the Fourfold breathing technique, it offers a 1 to 5 minute guided breathing exercise. 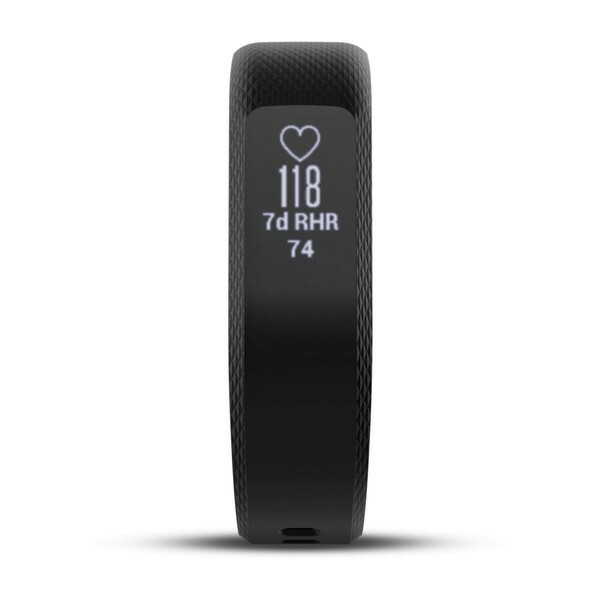 vívosmart 3 fitness tracking capabilities include steps, floors climbed, calories burned, intensity minutes and more. Move IQ® automatically detects exercises such as walking, swimming, cycling and elliptical training. 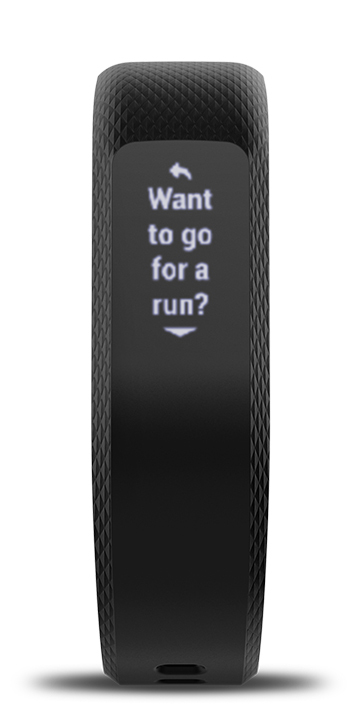 It can also automatically start a timed walk or run activity. So you’re free to get up, get moving, and let vívosmart 3 capture your active life. As always, you can review your activities later on Garmin Connect™, our online community. Gym rats, rejoice. We’re adding a companion to your workout — or more specifically, a companion that’s great at keeping count. When you start a strength training activity on vívosmart 3, the device will capture your exercises, reps and sets along with your work and rest times so you can leave the notebook at home. That data gets pushed to Garmin Connect during your next sync so you can review your workout in even greater detail. To help keep up with your busy lifestyle, you can view emails, text messages and social network notifications right on your wrist. 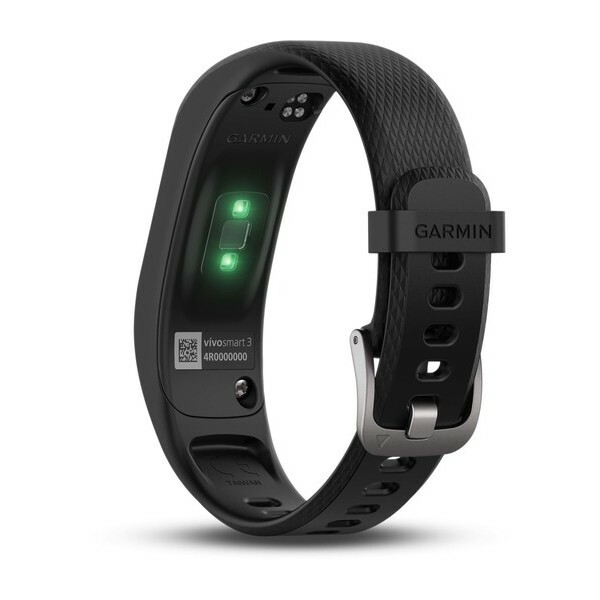 Other features that help you stay linked with life include automatic uploads to Garmin Connect and compatibility with TrueUp™, which lets you synchronize multiple fitness trackers. The ability to find your phone and music controls are also available right at the wrist. Keeping an eye on your activities and achievements is easy. 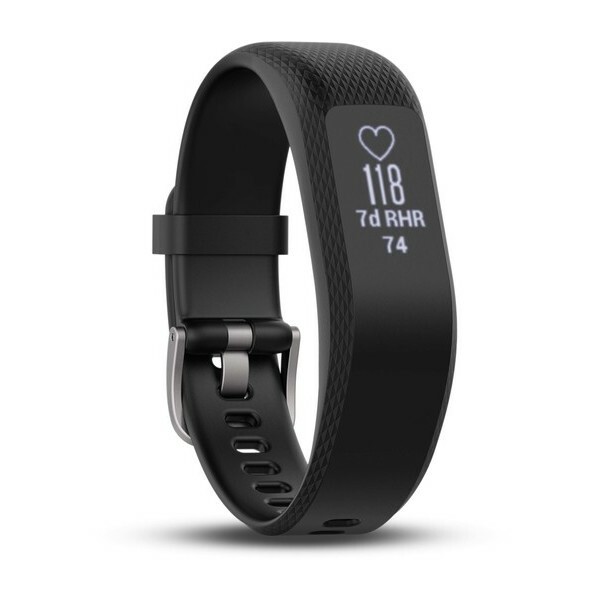 vívosmart 3 fitness tracker automatically syncs to Garmin Connect, our online community where you can review your progress, join challenges and even share via social media. Garmin Connect is free and available on the web or on your smartphone with the Garmin Connect™ Mobile app.